Dunk-a-Dean is back! Spring Carnival’s second Dunk-A-Dean is taking place Friday, April 20, 2018 on the Midway near the front entrance of Doherty Hall. Sponsored by Carnegie Mellon University’s University Police Department, Dunk-a-Dean aims to raise awareness and funding for the Special Olympics of Pennsylvania. The top three pledges get five minutes to try and dunk-a-dean to dunk as many times as possible, and 15 minutes will be available for walk-up dunking. 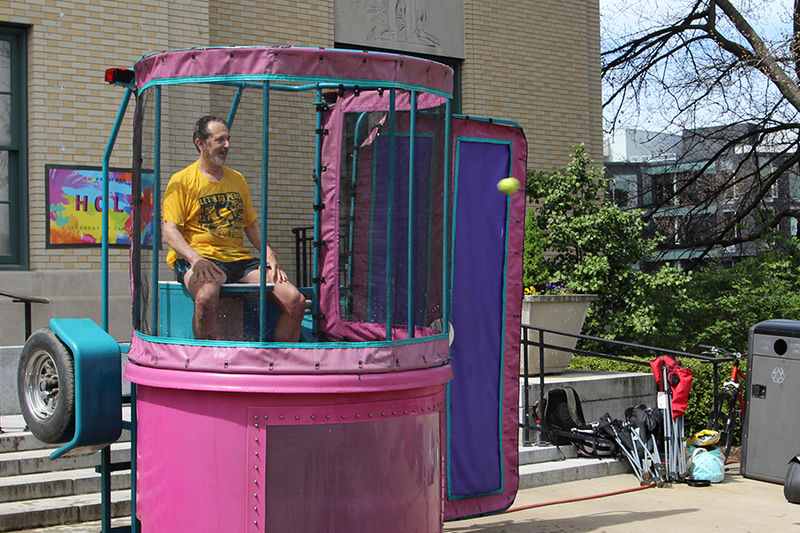 Richard Scheines, dean of the Dietrich College of Humanities and Social Sciences, will be in the dunk tank at 1 p.m. The entire Dietrich College community is encouraged to make pledges and gather to watch. Last year, Dean Scheines placed second—help lift him to the top spot, all while benefiting the Special Olympics. Pledges can be sent to Det. Joe Bernarding. Share your photos on social media using #cmucarnival and #CMUDietrich.